This is from a home impacted by a near approach of a large forest fire. The fine grained coating of hemetite-stained clay is characteristic of wild fire generated aerosols. 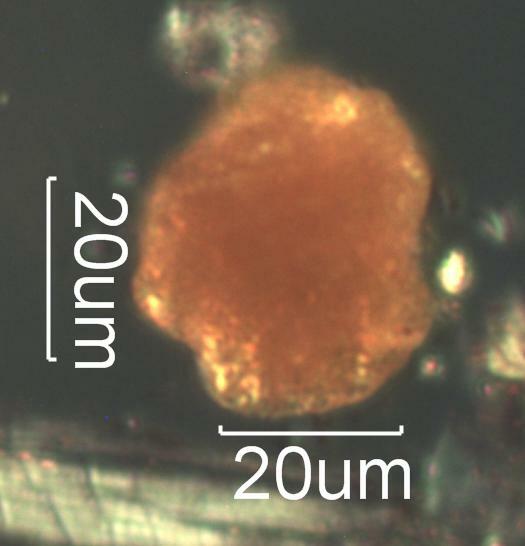 The burnt clay type particle in the forest fire aerosol is the result of the oxidation of iron hydroxide concentrated on the surface primarily by bacteria over time. In the heat of the forest fire the lofted soil particles are heated and the iron hydroxide is converted to hemetite. This is a very fine grained coating on the surface typically and is highly light scattering for the red wavelengths.